Isn’t it gorgeous? The cover was done by artist Jeff Brown with typography by Colin F. Barnes. When the Andvellian ambassador in Margolin goes missing, she jumps at the chance to find him, but quickly learns the mystery goes deeper than one missing courtier. With border tensions rising, a man vanishing before her eyes with a relic she believed lost, red-clad soldiers out for blood, and something dark following her from the charred ruins of Treevale fortress, Venn becomes a pawn in an unseen game. Forced to confront her past and question her future, Venn knows she has to tread carefully. One wrong move and she could lose herself in the shadows, and hurl her country into war. 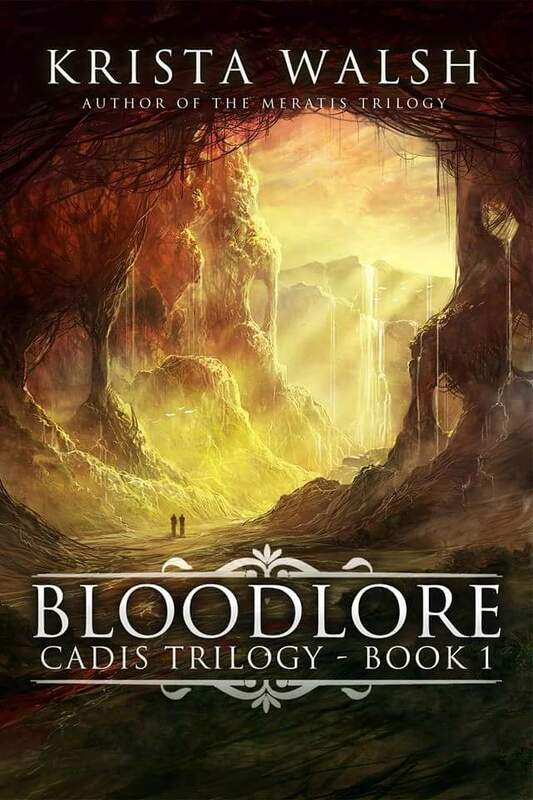 Again, BLOODLORE is due out the week of May 25, 2015. If you want to check out Krista’s previous books, head over HERE.